Too good to be true? Hardly. Here’s how. WordPress is what this blog is written on and it’s free. Go Daddy (if you can get past their awful ad campain) registers domain names for $10 a year (and that includes “domain forwarding with masking…I’ll explain later). So, start to finish, here’s the steps to get your ministry or organizational or personal website up and looking crazy awesome in 5 easy steps. 1) First, you need a domain name (i.e. http://www.yourchurchsite.com) and you get it through Go Daddy for $10. 2) You go to WordPress.com and sign up for a free blog. Try to give it a similar name as your .com domain. 3) Here comes the fun part. While on WordPress, navigate to your “dashboard”, the “behind the scenes” section, and under the “appearance” menu (left column) click on “themes” and pick out a theme for your site. Then, make some “pages” with various content, leave a few posts, and play around with “widgets”. The more you play around with this interface, the more familiar you’ll become with it and the more you’ll discover just how simple having a website really is. 4) Once you’ve designed your site, put in your content, and are happy with it…it’s time to show it off. Go back to Go Daddy.com and on the their upper menu click the tab “log in” and…well…log in. In the center of the window you’ll see your new domain name. Click on it and it launches “dashboard” (wow, the same name as wordpress…it’s a conspiracy of simplicity). Click on “forwarding” and input your WordPress site address (i.e. yourchurch.wordpress.com) and click “advanced options”. Choose “forward with masking” and enter the info that you want people to see when they navigate to your site. Click “ok” and you’re done. 5) You’ve done all the hard work…now tell people about it. Anyone can now type in your domain http://www.yourchurch.com and it will “forward” them straight to your wordpress site! Enjoy. You just got an awesome site with YOUR NAME for $10 a year! This link will only last 1 week, but after that you can sign up for a weekly free download from http://www.footagefirm.com and you’ll get the same free content delivered every week. 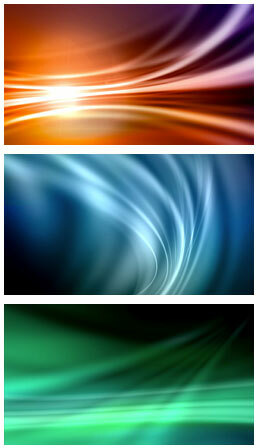 These backgrounds come in SD and HD and they’re not bad…for free! Let me know how you use them! Email is dead. Youth communicate primarily through text, so why are you still trying to communicate your announcements through email, snail mail, and (God forbid) fliers! 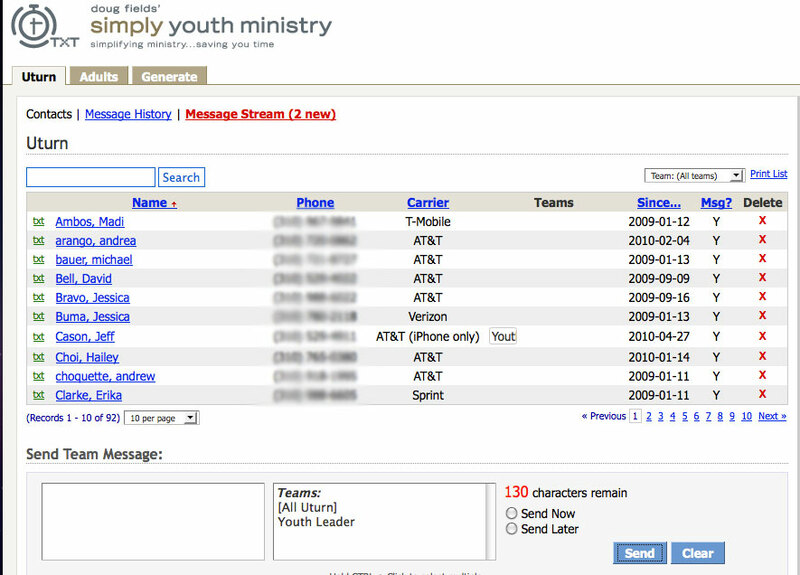 With mass text messaging you can communicate instantly to your entire youth group or congregation! Simply Youth Ministry has come up with a ministry focused program with a 30 day free trial and per month fees as low as $10. 2) Sign-ups. Example: We need volunteers for VBS, text me back if you want more information. Vacation Bible School is rad. Every year we have hundreds of little kiddos who come, play, sing, and learn about Jesus. It’s our church’s biggest outreach of the year and we, like you, put a lot of time and effort into making VBS fun and memorable. Here are all the admin forms and workflow we use. Start with the form tilted, “VBS Volunteer Meeting”. Every other form will make sense after reading it. Post your comments or thoughts on how you organize VBS. Red Laser is an iPhone app that’s been out a while. It uses the built-in camera to accurately read barcodes on virtually any product and then give you a list of both online and local stores that sell the product at the lowest price. Here’s the crazy thing. Retail stores are now accepting this for price matching! Including Best Buy. Here’s an example. I walked into Best Buy to purchase a video game for our youth group and it was selling for $52 off the shelf. I scanned it with Red Laser (a 99 cent app) and it showed that Amazon.com was selling it for $39. I took it to the front, showed the result at checkout, and received it for $39, no questions asked. As a youth pastor who buys a lot of stuff I’ve learned to always ask, you’ll save so much $$$. Just since the beginning of the year I’ve saved over $200 through price patching with Red Laser. Watch this video to find out more. #14 What do You Think??? How many times have I sat around thinking, what should I speak to these people about? What do they need to hear? Even praying the prayer, God what do your people need right now (and that’s not a bad prayer), what are they struggling with? One could argue, immerse yourself in the culture, read-read-read, and even ask them! We get some pretty varied feedback, but you must ask the hard questions! I had to face the fact that some kids thought my messages were horrible and what I thought was a strength, our small groups, had a really big weakness…they never ended on time! This information would never have been openly shared in person, thank you Survey Monkey! Survey monkey is a free service, take advantage of it! Ok, so we all know Google will someday rule the world and might even be the anti-christ…someday…but not today. Today it provides incredible resources for the local church through Google apps. What are all these Apps good for? The main benefit is that all your documents are online and accessible anywhere! The secondary benefit is that you can collaborate on the same document, at the same time, while chatting or talking to each other via google video or audio chat! 1) All Prayer requests are put in an Excel document that all staff members and prayer team members can navigate to. When they receive an update, THEY can update the document so it always stays current. 2) All my sermons are organized in a folder and accessible at any time from any location. 3) Google Site allows us to have an inner office intranet where all important logos, letterhead, etc. are kept and easily downloaded. 4) Google Forms allow us to embed registration forms on our website. The data from those forms can easily or even automatically be put into a Google Excel document for interpretation of data. This is my daily blog filled with creative resources for ministries. I believe the church should fully utilize technology to reach and teach people in a creative way. Every post shows how each resource can be used in the local church or ministry organization. Best of all, most resources are free!